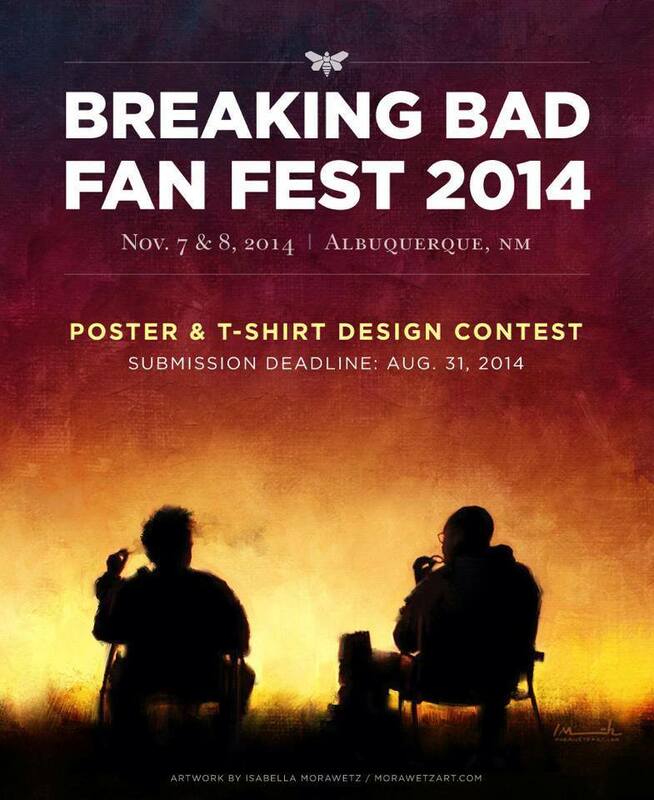 The 2014 Breaking Bad Fan Fest T-SHIRT & POSTER DESIGN CONTEST is now over. 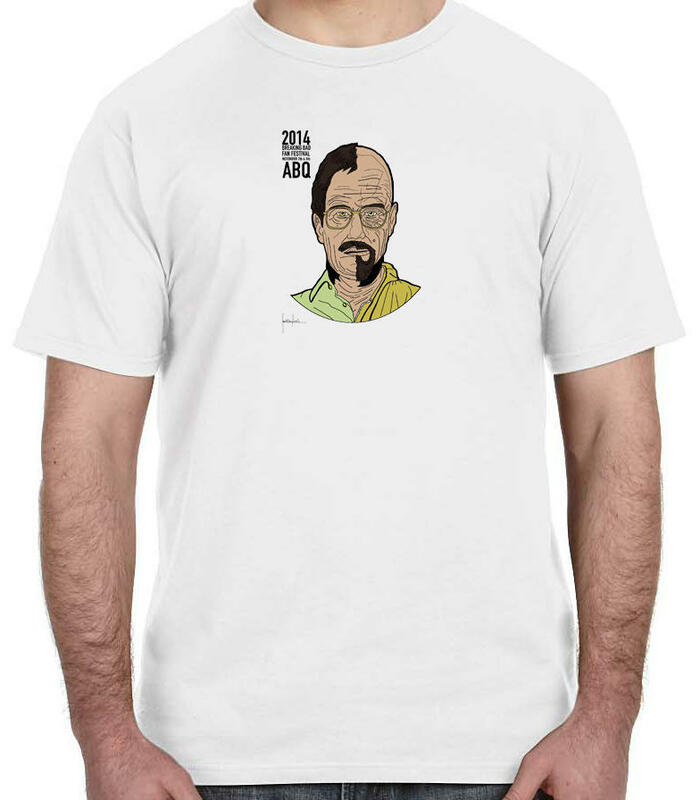 Scroll down to see the winning TShirt and Poster designs. Winning artists will receive 8% percent of poster or t-shirt sales. Art credit: 4 Days Out by Isabella Morawetz in Australia. Buy prints on Society6. 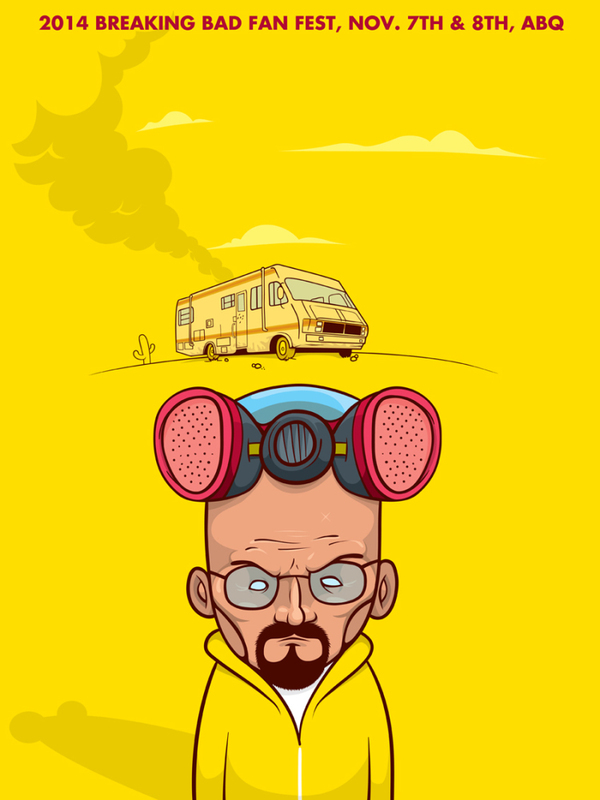 Also, check out the interview with Isabella on the Heisenberg Chronicles on Tumbler. Special thanks to Shayne Bowman.